In ongoing correspondence with Ranville, this writer asked, "Where is the 'X' that marks the spot?" Ranville says, "I am looking forward to exploration. 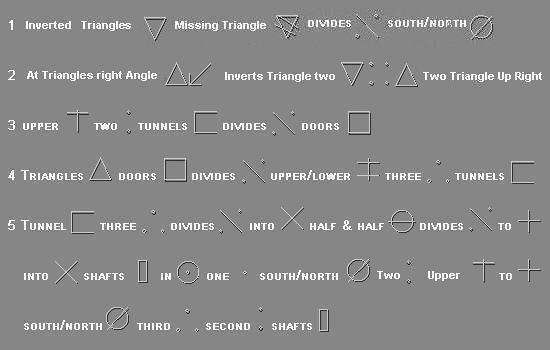 I am waiting for permission to explore the Island and I will be taking soil samples measurments ect.. [the] "X" spot would be at the right angle of the triangle what the symbols say. But field investigations are needed. These are exciting times for Oak Island."